2019 rates, more information or to make reservations. Perfect outdoor space for an elegant country wedding at very affordable pricing! What do you have to offer that The Cheyenne could use? What professional skills do you have to offer in trade for getaways? BARTER IT TODAY FOR FREE NIGHTS! average family could use, then we are looking for you! Many new opportunities are coming soon for 2019. 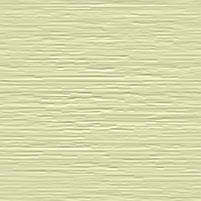 SEE OUR BARTER AND DISCOUNTS PAGE FOR MORE DETAILS. 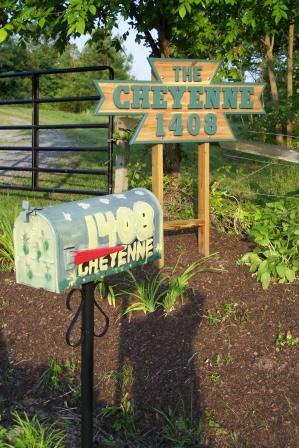 CHEYENNE - The Cheyenne is Home to Professional Motocross Racer, Cheyenne McGuin. 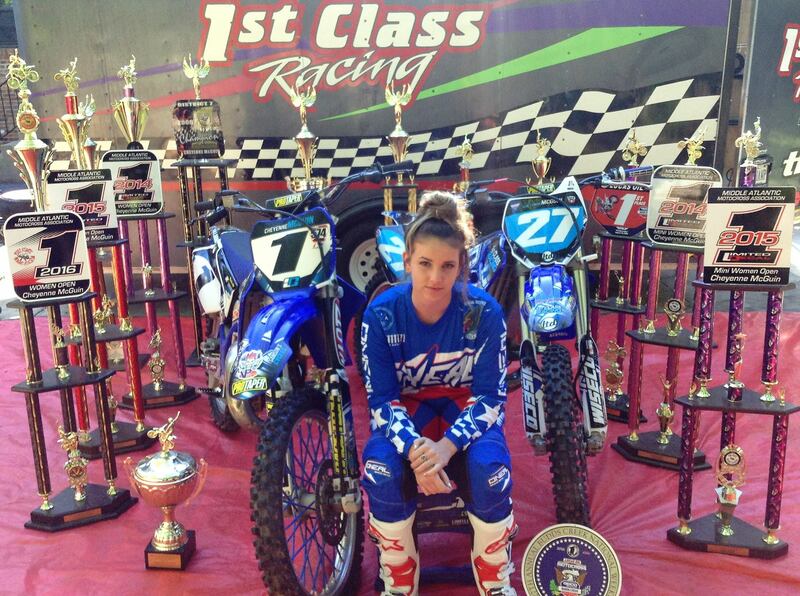 Cheyenne has been racing motocross since she was 4 yrs-old. Rising thru the ranks of Amateur Motocross, she is the 3-Time Women's Open Expert Champion, has captured 8 Amateur National Championships and has 14 National Titles. Cheyenne wanted a practice track - so we built her Mini-Me. After turning pro in 2017, Cheyenne captured the #3 Blue Plate in the 2018 Pro WMX National Championships, her first year as a rookie. Excited to be racing with the fastest women in the world all over the world! Cheyenne is an ambassador to motocross and offers "Learn to Ride" and "Rider Improvement" Training as well as "Racer Development" Camps all over the world. 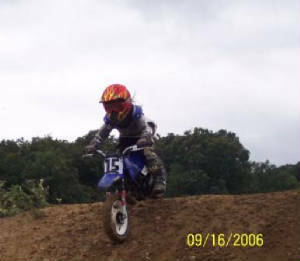 GARRETT - "The Flying Ferret"
Garrett has been racing motocross since he was 4 years old - winning his first 50 cc Championship at just 6 years old. 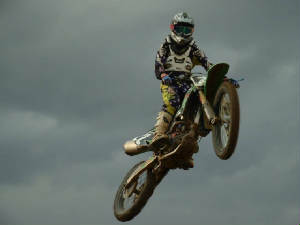 With many Motocross Wins and Championships under his belt, he is now flying high aboard his KX 250F in the Open Class. Garrett is a supreme athlete and lover of all extreme sports. He has pure adrenaline running through his veins! Garrett has a need for speed and his passion is for "Big Air." He doesn't spend much time grounded on two wheels. That's how he got his nickname. He also is a competitive runner, and mountain bike racer. LARRY - A lover of motorcycles and the great outdoors. 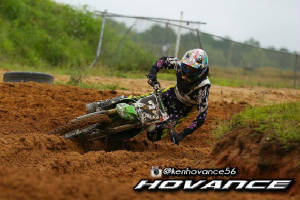 He has been racing motocross since 1976. 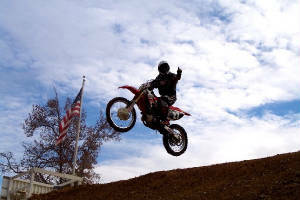 With many motocross wins and championships under his belt from 3-wheeler and quad, 125A to Open A Class, Vet, Senior, and Vintage he is still out there having fun, racing motocross, and enjoying several different riding venues. And I'm Lori. There is no picture of me because - you guessed it - I'm behind the scenes making all this craziness come together! 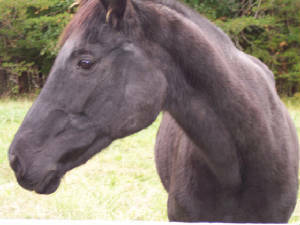 IN MEMORY OF BLACK BEAUTY - Beauty was a retired thoroughbred racehorse. She was trained in Parelli, natural horsemanship. A gentle spirit, she was always very careful of her rider. Cheyenne and Beauty bonded in a way that only a majestic soul could bond with a little girl. We were truly blessed to have had Beauty in our lives!